Sekar Speaks: Grand welcome to booming technologies and bade farewell to good old screenplay writing? “Writing a screenplay, for me, is like juggling. Its like, how many balls can you get in the air at once? All those ideas have to float out there to a certain point, and then they'll crystallize into a pattern” said James Cameron. Yes, screenplay writing is the most essential entity in film making but after watching recent Tamil films, I feel that our producers are believing that good story line, eye-catchy cinematography, hit tunes and racy cuts, of course a saleable star are more than enough for a film’s success. I would say that this way of technically sound and weak screenplay approach has started only after the digital revolution. I agree that the digital revolution paved the way for new ambitious directors like Karthik Subbaraj, Thiyagarajan Kumararaja, Nalan Kumarasamy, Balaji Tharaneetharan, Balaji Mohan but the same revolution also brought in a lot of film makers who need more expertise in screenplay writing. May be, the new age directors might be good at narrating stories or they might be good in conceiving interesting ideas, otherwise they wouldn’t have convinced deep pocket producers but screenplay writing is altogether a different game. I feel that it is high time that producers should start asking bounded script first so that they will have a visionary idea over the film. Also, if the directors complete writing the entire script before the commencement of the shoot, shooting time will be considerably reduced. 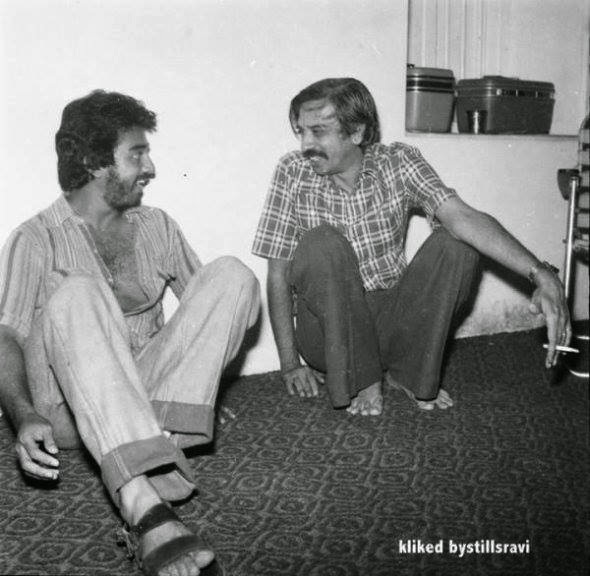 In early 70s and 80s there were separate story discussion groups for production houses. In Tamil they call it as ‘Kadhai Ilaakaa’ which consists of members who are excellent in story writing. There were writers like Panchu Arunachalam (Aarilirunthu Arubathuvarai, Murattu Kaalai, Ullasa Paravaigal, Kalyanaraman), Aabhavanan(Oomai Vizhigal, Senthoora Poove), Aaroor Das (Pasamalar) and many others who are dedicated only for story writing, they rarely directed films and most of the times, they allowed directors who knew the art well to make films. 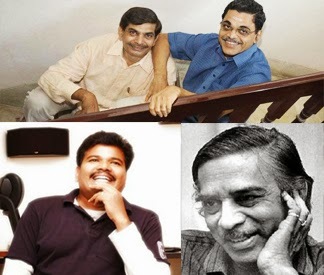 Also some ace directors like Mani Ratnam and Shankar gave a lot of importance to writers like Sujatha and Balakumaran. In Baradwaj Rangan’s Conversations with Mani Ratnam, the maverick director explains how he collaborated with Sujatha by saying “ Sujatha is a writer. His strength is in short stories, He’s written amazing number of short stories, so if he is able to develop characters and pull things together into a story, the form which he is comfortable with then I can get something out of his stories and put into my screenplay”. Once Mani Ratnam asked Sujatha to write the starting and ending sequence of Alaipayuthey, to be precise the particular day where Madhavan searches for Shalini and how he meet her at the hospital. 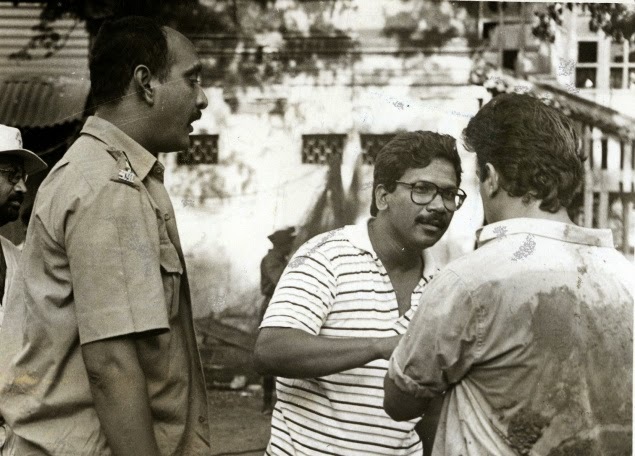 Though Mani Ratnam is good at screenplay writing, he used writers for the betterment of the film. On collaborating with writers, Mani Ratnam says “When working with people, my job is to get the best out of them. Converting a story into film is something I’m doing for twenty years so I’m not really scared of it”. . I would like to recall an interview of Shankar who is known for his grandeur filmmaking said “ Sujatha’s knowledge about screenplay is unparalleled. When I narrate stories, Sujatha used to record my narration in a cassette and he never utter a single word. After the narration, I have to wait for the bounded script where my thoughts have been converted into words; the entire process was fascinating”. I would say that the success of Mani Ratnam and Shankar is that they understood the importance of writers, not just for developing characters but also for novel dialogues. After Shankar and Mani Ratnam, KV Anand is making use of writers well. Writers duo Suba are having high success rate in Tamil cinema, most of their films are super hits and blockbusters (Ayan, Ko, Velayudham, Arrambam) while only few were loss ventures viz., Maatraan, Kana Kanden. Even directors like Bala and Vasantabalan have started hiring specialized writers like Jayamohan, Nanjil Nadan for their films. If Mani Ratnam, Shankar, KV Anand are one category, KS Ravikumar is having a different approach in film making. In more than 20 years of his film career, KS Ravikumar only wrote three stories (Varlaru, Padayappa, Kochadaiiyaan) and most of the time, he directed other writers’ stories. Similarly another ace commercial director SP Muthuraman knew that he is good in directing entertaining films and he used other writers’ stories, especially the one that comes from AVM’s Kadhai Ilakka. Though I really liked Karthik Subbaraj’s Jigarthanda, somewhere I feel that a professional writer’s dialogues would have been more appropriate for the film which is having a lot of scope for sharp dialogues. Mani Ratnam’s Nayagan had dialogues by Balakumaran and we all know that the dialogues of the film are still remembered. I’m not saying that Karthik Subbaraj’s dialogues are bad, it is actually good but if a talented director like him starts working with talented writers, we might get more epic films and more enjoyable dialogues. On the other day, I watched this little known film called ‘Burma’, which I consider as a potential story and it could have been a classic. Though the director of Burma was good in extracting the best from his cast and screenplay writing, I believe that his dialogues lacked soul. The director has tried to write the dialogues in the romantic sequences as cute as possible but professional writers’ work would have been an additional strength. My point is that dialogue writing is a separate art and every director necessarily need not to be a dialogue writer. When you are roping in a specialized editor and cinematographer for your film, why not a professional dialogue writer? If directors start working with writers, they don’t want to concentrate more on dialogues and characterizations; they can extract the best from the writers, who know exactly how to develop characters and writing catchy dialogues. Once screenplay and dialogue is done, all directors need to do is to extract the best work from their technical crew and his cast. Recently, I came to know that Jonathan Nolan, brother of Christopher Nolan and screenplay writer of Interstellar studied relativity in California Institute of Technology and developed the script for four years. Christopher Nolan has got a gifted brother who is good at screenplay writing. Similarly, if Tamil cinema’s writers and directors start working together, sky is the limit!